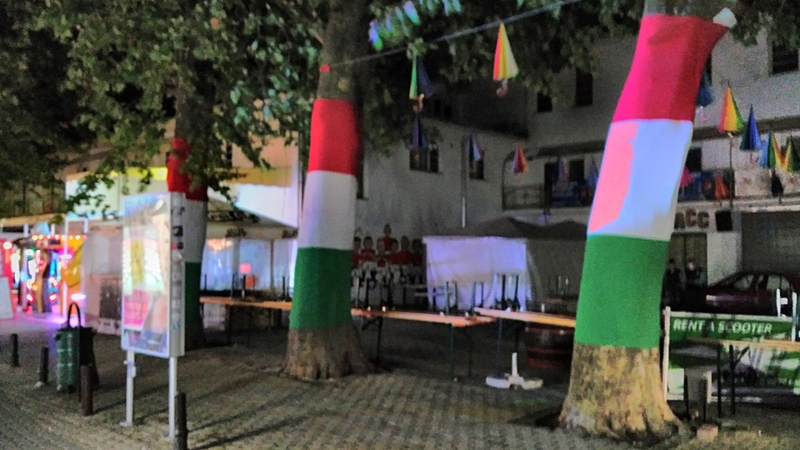 Siófok has an award-winner main square, interesting statues and a beautiful Balaton shore, but when its name is mentioned, most of the young people think of its famous party promenade, Petőfi sétány. I’ve spent three days to experience the difference between the already known party promenade and the real local bars. On the last night I’ve been to both genres. In the downtown, I’ve found my (so far) personal favorite pub of Siófok. 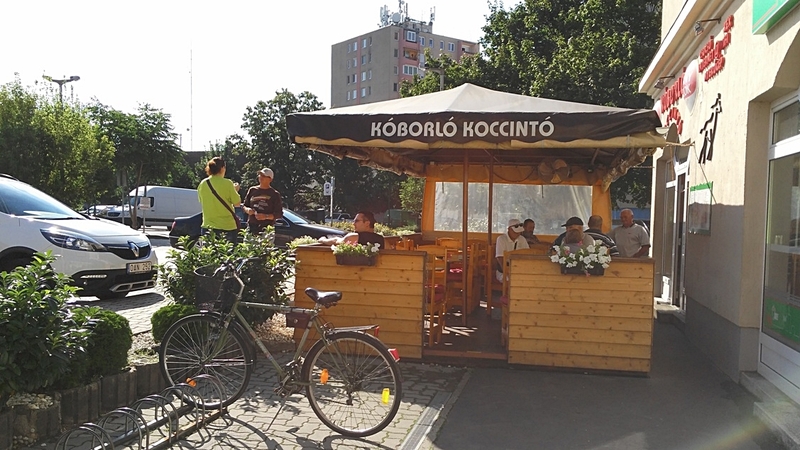 It was called the Kóborló Koccintó (means something like the “Roamer – clinking place”). It seemed to be the a real melting pot for the bohemians of the town. Classy Hungarian songs were greeting me from the jukebox when I entered, one about Lake Balaton, one about a pub. – I like that you are a good man! – Where are you from – ha asked. – From Zalaegerszeg – I answered. He got excited and cried out loud “BROTHER!” to me and kissed me on the cheek. Maybe I was lagging behind in the interpretation, but at this point I didn’t think of the two of us as reconnected twins, separated by birth. The staff seemed to share rather my idea, because he got led out after this. They apologized and told me that this person isn’t a regular here. After this I started to look around. 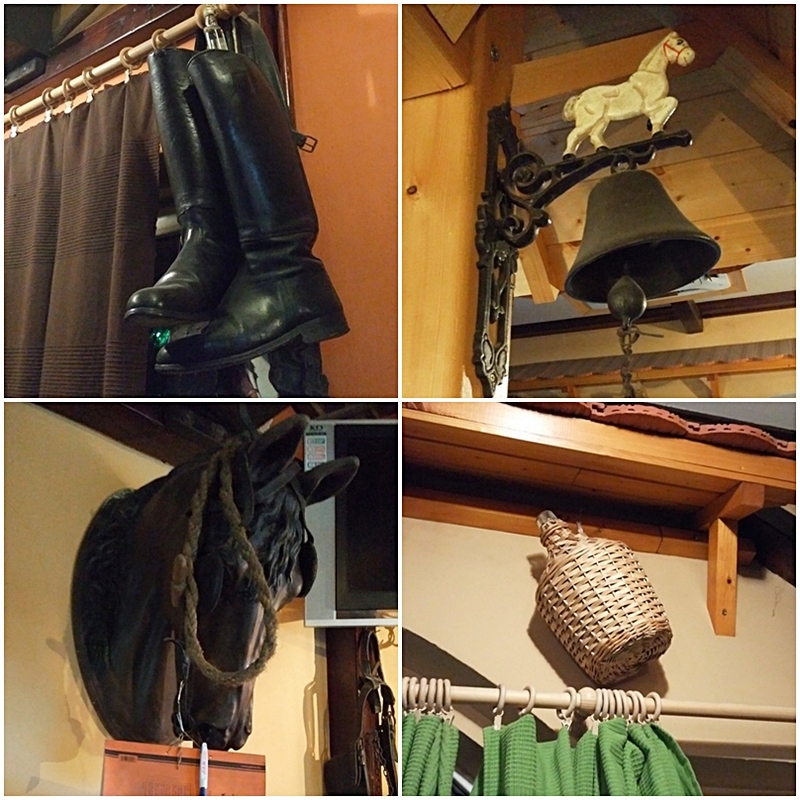 The place had sort of a western charm, with this boots and cowbell. 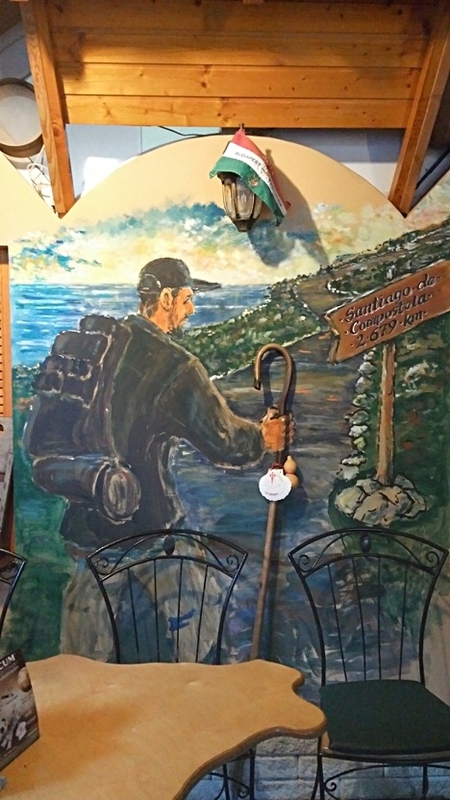 This wall painting, representing the wanderlust of the pub owner. Unfortunately, I didn’t meet him. Rumor has it, he actually did the El Camino. 2. 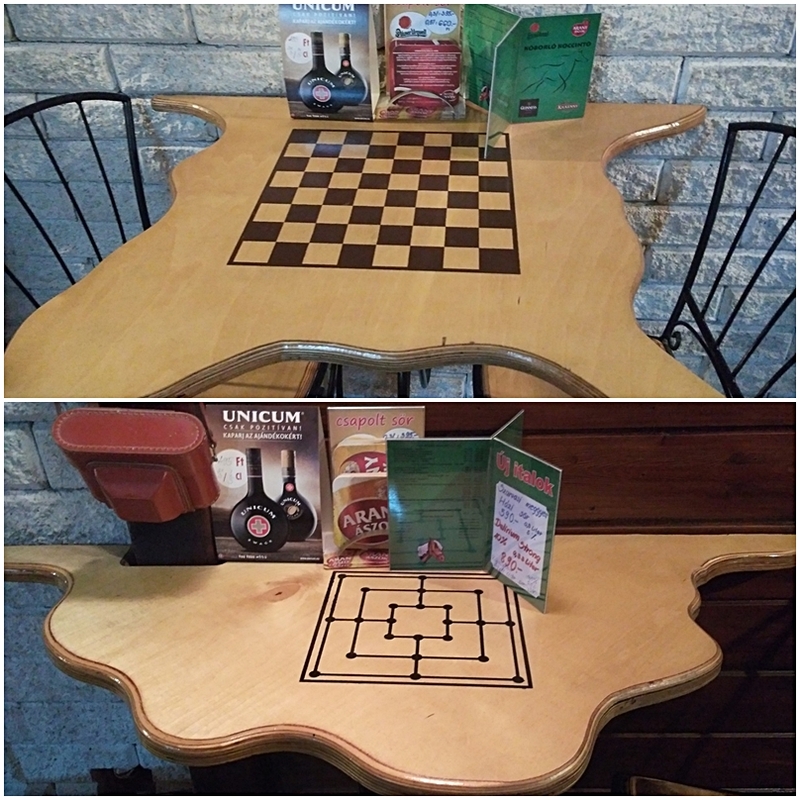 Chess and Nine Men’s Morris boards on the guest tables. The second game is very rare to find in pubs. 3. 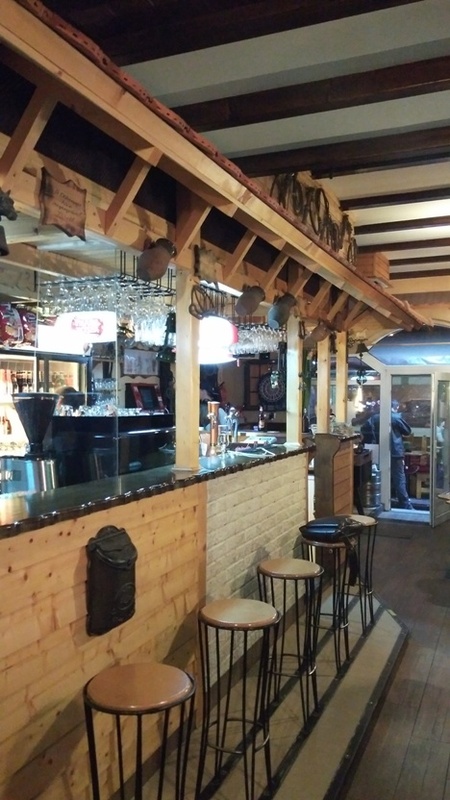 The bar and the wall has an inner roof making the place look like a western neighborhood. The weakest link is the most common one, the lack of a decent pub food. In the snack category they have a bit wider variety than the unholy trinity of peanuts, chips and ropi (salty sticks). In addition there are pistachio nuts and biscuits to choose as well. In total this pub was the most vigorous and relaxed spot from all I’ve been to in Siófok already. At the end, somebody rang the bell. It means in Hungary that you pay a round for the whole pub. This was the first occasion on my continuous pub crawl when I actually have taken part in such an event. The next day, when I said goodbye to Siófok, I could have a quick look at the daily shift. There were significantly older guests, but decent looking, trustful faces. 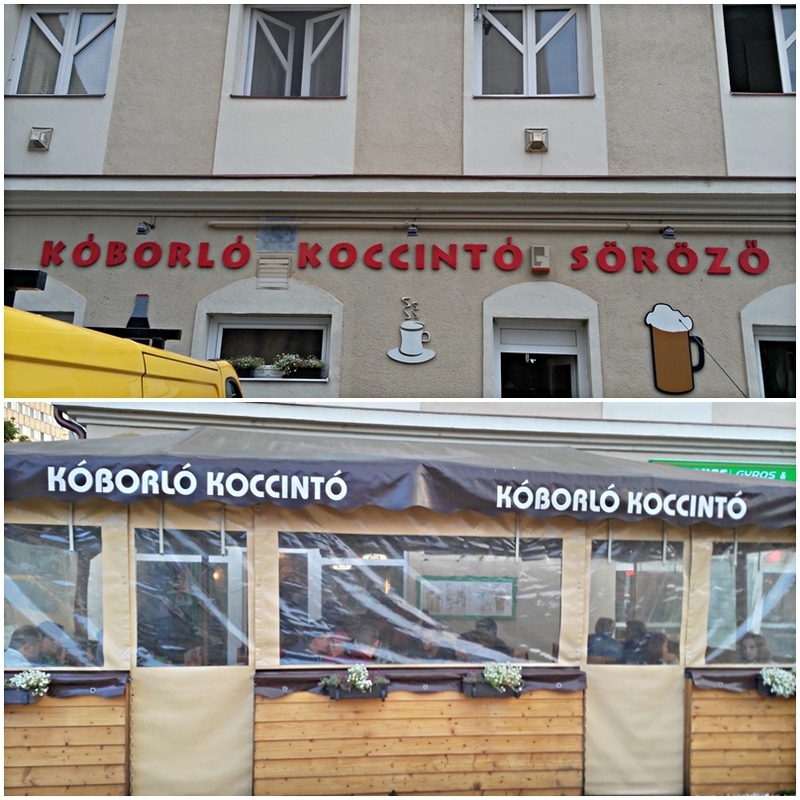 This 15 year old pub seemed to be an important gathering point of the Siófok local life. 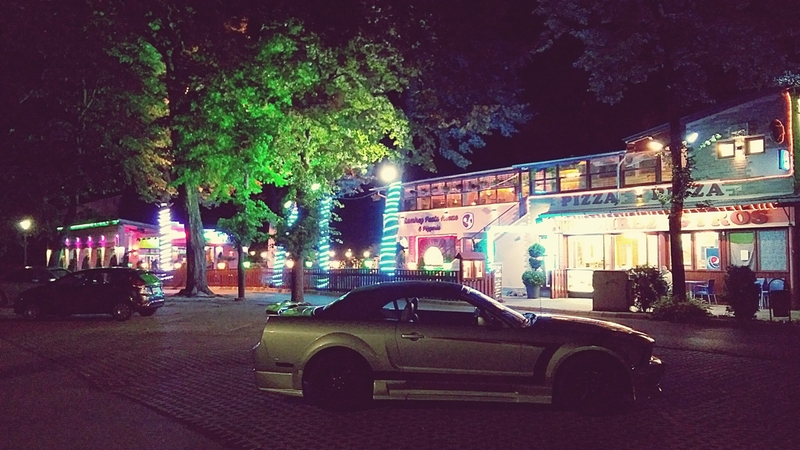 Such natural and cozy, as if it wouldn’t be in the busiest party town of Lake Balaton. The guests even had a hard time to forgive me, that I still went further to Petőfi promenade that night! After midnight it was the only place left open where I could clink the glasses with myself for my birthday, that just started. I have never been there on Sunday. I remember when I saw the promenade it for the first time in 2014, I was impressed to have outside Budapest such a huge, vibrate party life in Hungary. I appreciate it though, but personally, it didn’t became my type. On this Sunday night it was quite different as on every Friday or Saturday before. 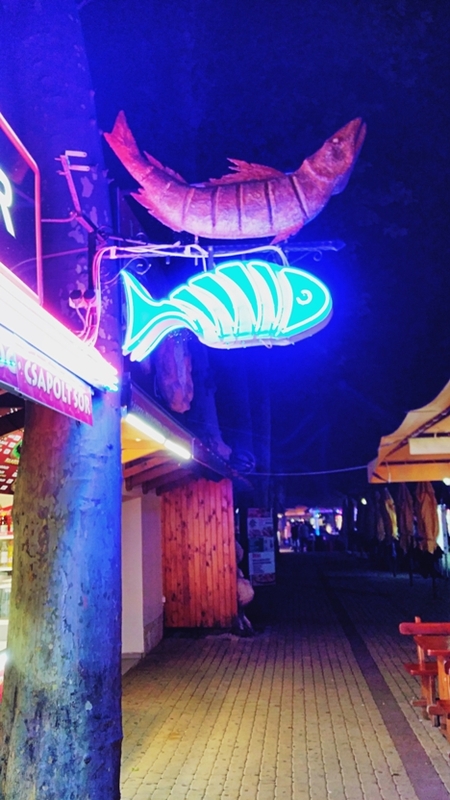 Of course, the neon-palm tree wasn’t less strange for me. This time really the people on holiday remained, mostly under 25 years. Not even all of them, some may got exhausted after the strong events of the two previous nights. Under this circumstances I had the chance to pay attention to the details. 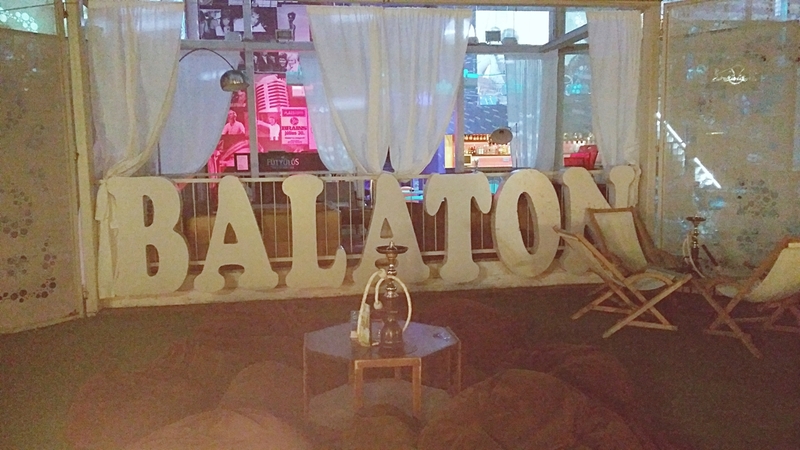 I was looking intentionally for all the Hungarian or Balaton referring elements. 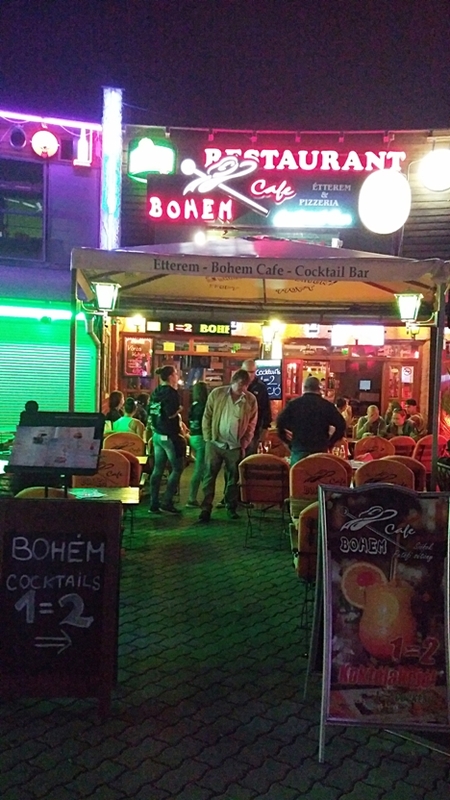 First, I sat on the terrace of “Bohém” (=Bohemian, 405. stop, 8. Siófok stop). It was the most sympathetic place for the first sight, and not only because of the our similar logos. Going further, I really liked that the attended beaches were free to enter for the night. 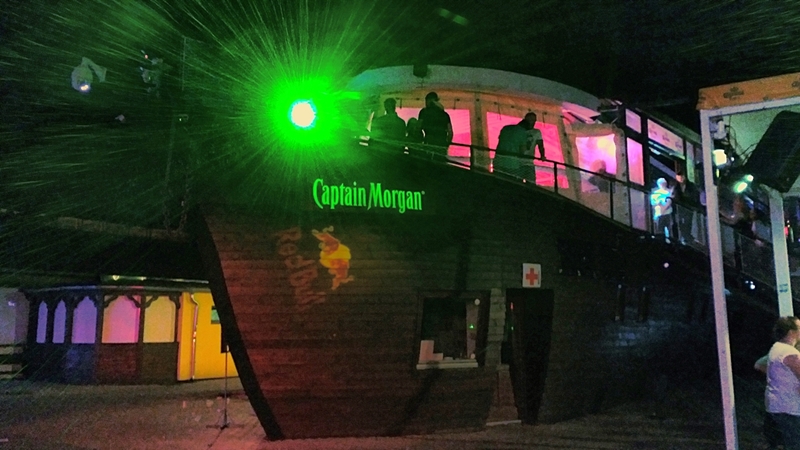 My next stop was the Bulihajó (=Party ship), which is a likable idea and institute. The party was the greatest and the party people the youngest here that night. I saw good vibrations. They were partiing civilized and relaxed at the same time, in big unity, and for my surprise, they all knew by heart the lyrics of songs of the 90’s. 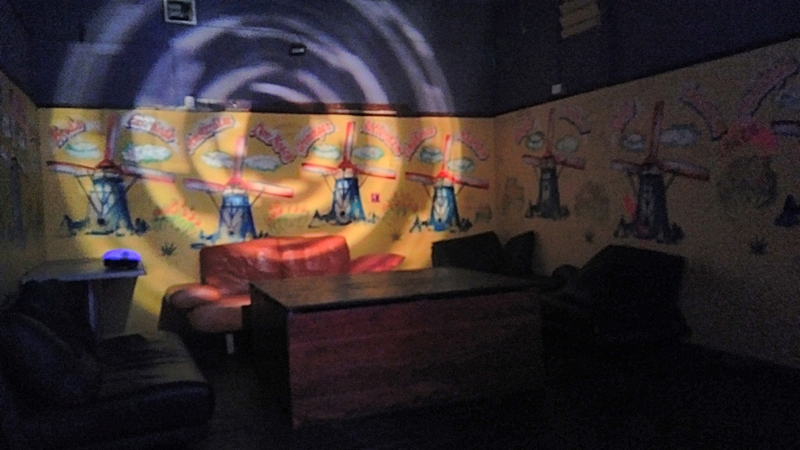 The third and final spot was a Dutch pub & Cocktail bar, call Aqua with windmills on the wall. I actually met here dutch people. They didn’t knew before entering, where they will arrive, they were just randomly invited by the hostesses. They didn’t serve fröccs (sprtizer), so I asked for a small Dreher (one of the basic Hungarian beer) and I had to pay the double as in the downtown. 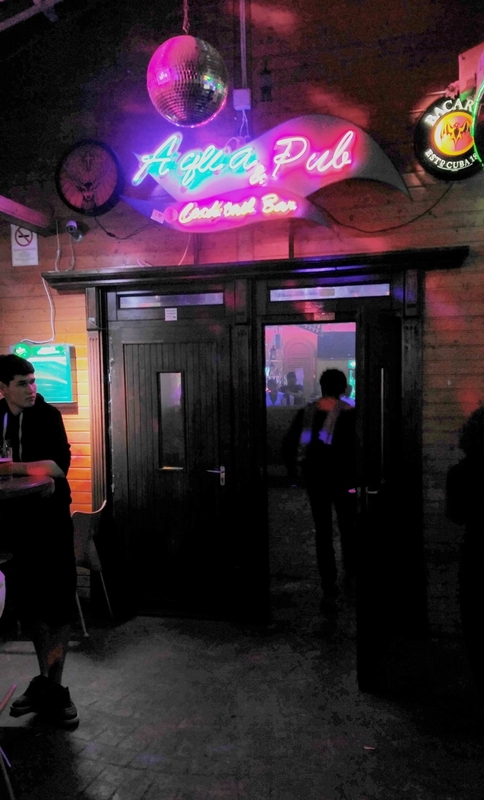 The Dutch young guys still found this place very cheap comparing to the price in their home, where they can afford liquors buying in the store and drink from the bottle, but here they can buys shots with whole trays after each other. I talked to them. They thought that besides Budapest, Lake Balaton is a really cool place, but they would like to see instead of international symbols more of the local charisma. 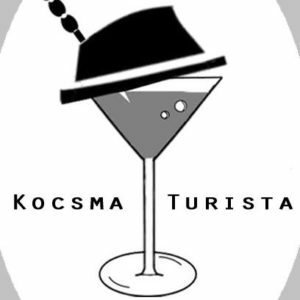 They said that is a worldwide phenomenon that the party places try to catch the tourists with global trends, instead of really revealing what a region has to show.